Several head-to-head battles within the war will make for intriguing subplots during the Twenty20 International series between Australia and South Africa, particularly at the Adelaide Oval on Wednesday. Proteas allrounder Ryan McLaren talks about the opening T20 defeat in Australia but speaks of the ‘energy’ and ‘excitement’ ahead of the first T20I against Australia. 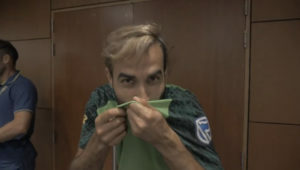 The Knights are advertising for a new coach, JP Duminy reflects on his side’s defeat against a CA XI and Sony Six secures Ram Slam T20 broadcasting rights. Chris Gayle is hopeful West Indies’ tour to South Africa will go ahead despite the pay dispute between the players and the national cricket board. JP Duminy’s stint as South Africa’s T20 captain got off to a disappointing start as they were outplayed by a Cricket Australia XI in Sydney on Sunday. 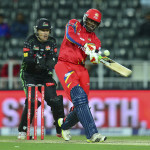 In the news today Dane Vilas backs the Cobras middle-order, AB de Villiers is inspiring players all over the world and Sachin Tendulkar’s son is set to tour South Africa. 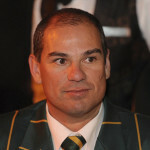 Proteas coach Russell Domingo hopes that a win in the T20 series against Australia will be the start of a successful summer. 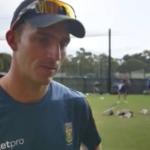 Heading into the Australia leg of their tour, watch Proteas players discuss about the NZ series and what lies ahead. Cricket Australia (CA) today advised two changes to the Cricket Australia XI squad that will play South Africa in a T20 tour match on 2 November at North Sydney Oval. Australia have named their 13-man squad to do battle with the Proteas in the first two ODIs of the five-match series. South Africa’s 2-0 series win in New Zealand propelled them to the No 1 ODI ranking for the first time in five years. Following South Africa’s 2-0 victory in the three-match ODI series against New Zealand, here is a look at who fared best. 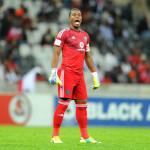 South African cricketers past and present mourn the death of Pirates and Bafana Bafana goalkeeper Senzo Meyiwa, who was murdered at his girlfriend’s home on Sunday evening. 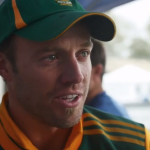 South Africa captain AB de Villiers’ focus turned to November’s tour of Australia, after Monday’s third and final ODI against New Zealand at Seddon Park was washed out.